WASHINGTON ? NASA's Constellation program isfacing a potential $1 billion funding shortfall in the remaining four months ofthe current budget year, a situation that likely will force contractors toscale back work on major elements of the program before the agency obtains thecongressional authority it needs to officially terminate the effort. In a June 9 letter to key U.S. lawmakers,NASA Administrator Charles Bolden said the work slowdown could result in "contractorworkforce reductions estimated at 30-60 percent of the current population, or2,500-5,000, for the balance of the year." According to the letter, NASA is confrontingan estimated $994 million in potential costs associated with ending theConstellation program, which NASA has proposed doing next year. "Oncethese termination liability estimates are accounted for, the overallConstellation program is confronting a total estimated shortfall of $991million for continued program effort for the balance of the year, compared withthe revised FY 2010 plan," the letter states. But NASA officials say all of its contractorsare bound by a boilerplate clause included in most agency contracts to setaside current-year program funds as insurance against the costs they couldincur as a result of having to cancel orders, vacate leases and pink-slipemployees if a program is ultimately shut down. 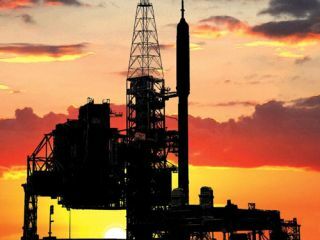 "Given this estimated shortfall, theConstellation program cannot continue all of its planned FY 2010 programactivities within the resources available," Bolden wrote in the letter,which was sent to Rep. Bart Gordon (D-Tenn.), chairman of House Science andTechnology Committee, and to Sen. Bill Nelson (D-Fla.), who chairs the SenateCommerce science and space subcommittee. "Under the Anti-Deficiency Act,NASA has no choice but to correct this situation." Bolden said NASA would "generallyprovide no additional funding" for development of the first stage ofConstellation's Ares I rocket, and would "descoperemaining contracts, and reduce support contractor levels," according tothe letter. Constellation's Orion crew capsule,originally designed to launch atop the Ares I, would essentially remain inlimbo as NASA determines how best to continue a slimmed-down version of thecapsule for use as an emergency lifeboat at the internationalspace station. The letter said priority would be given to making the transitionto the crew lifeboat version of Orion, with secondary priority assigned tocontinuing work on the J-2X, an engine designed to serve as Ares I's secondstage. The letter said $89 million for Constellationground operations would be cut, reducing "support contractor levels, taskorder scope and, operating cost. Effort will be made to preserve work to enableflight test strategy but with schedule impact." Other areas to be scaled back include thework on Constellation's Extra-Vehicular Activity suit and on programintegration, according to the letter. Several influential lawmakers oppose the WhiteHouse's plan to cancel Constellation, and Congress last year passed legislation barring NASAfrom doing so until a replacement program is approved by Capitol Hill.